The Windy Smithy Henry Stove has been tried and tested in many diverse spaces, and is recommended for yurts 18′-22′, caravans 18′-30′, static caravans, summer houses, trucks, domes, boats and more besides! 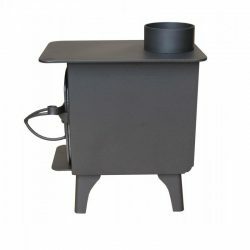 This is a superbly designed, ‘proper’ wood stove with a generous cooking plate. There is a good seal on the door, which is hinged on the left, with a tight fitting air flow adjustment so no flue baffle is needed. The opposite front and rear legs have holes to fix to the floor. Exceptionally high quality, built to last many years, and with simple but effective features like internal baffle plate and properly sealing door – meaning you can regulate air flow very effectively. 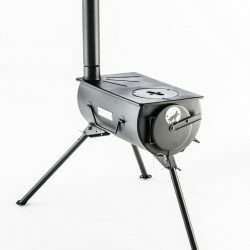 The Henrys’ larger firebox size means less wood chopping, and you can fill it up, run it good and hot, then close it down for many hours of gentle – or intense – heat. A superb choice. Caution on first use: when lighting the Henry Stove for the first time, make sure your shelter is well vented as first time burning of the Henry will give off an odour of burning manufacturers residue. This disappears very quickly with increased heat. The Henry comes as standard with the flue exiting the stove-top at the rear left. Use the drop-down options to specify different positions. A 6000 BTU (1.75kW) boiler can be fitted to this stove. See drop down option. Flue pipes – either single-skin; twin wall insulated; or a mix can be ordered from here. 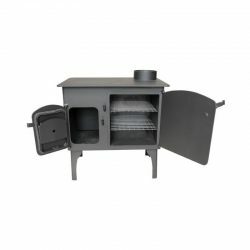 This stove comes assembled but does not include a flue pipe. From July 2013 all heating appliances to be fitted in houses are required to be CE approved and marked as such. Our stoves have not gone through the testing required for CE approval, but they have undergone the rigorous on-site testing and approval of thousands of happy customers. Unfortunately we will not be able to sell you a stove if it is for fitting into a house. 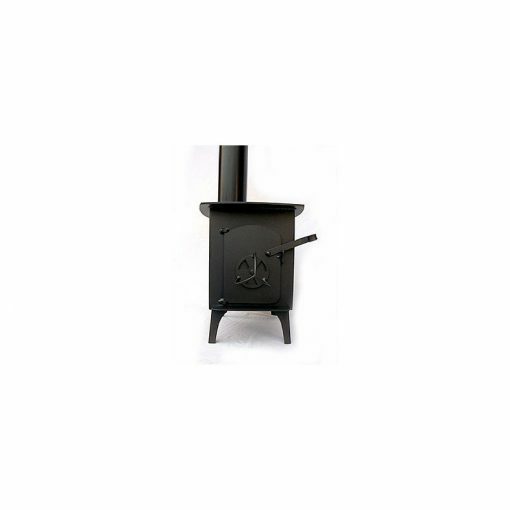 Stoves fitted in caravans, tents, vehicles, Shepherd huts etc. are not required to be CE approved. 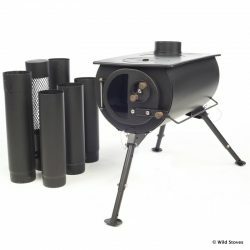 Wild Stoves are regrettably unable to advise you on safety aspects of stove installation. We are able to help you select the right components for your proposed installation, but only HETAS-qualified bodies can give advice and manage installations. We are always happy to talk about your project and share experience and ideas, but this does not constitute advice and final decisions about and responsibility for installations remain with the customer. Using a wood stove safely and responsibly is the responsibility of the customer. 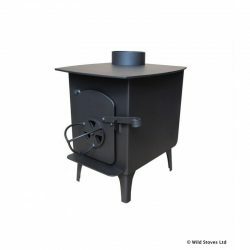 Wild Stoves does not accept any liability to any party for loss or damage incurred by use of the Louis Stove howsoever caused. We strongly recommend the use of a Carbon Monoxide monitor and alarm when using this or any stove in an enclosed area. Heating a tent, van, shed etc.